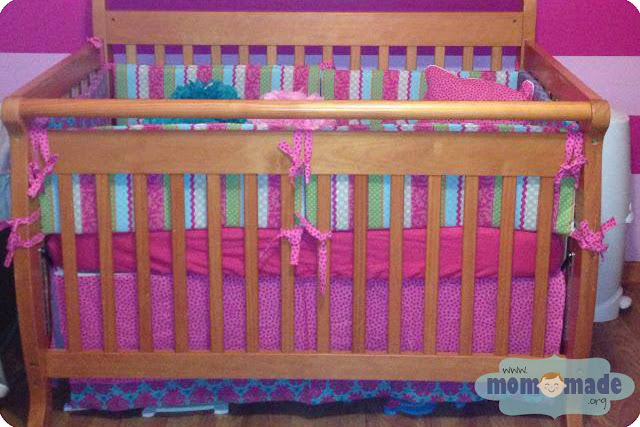 Mom-Made is pleased to offer custom pieces to create a one-of-a-kind nursery for your little one! Coordinating Nursery Collection items may be ordered individually - simply pick and choose what you need! I will work with you to come up with primary and complementary fabric colors and prints that you are happy with. 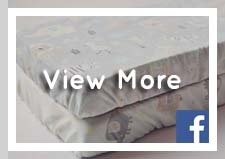 Fitted Crib Sheets use elastic to fit standard-size crib mattresses. 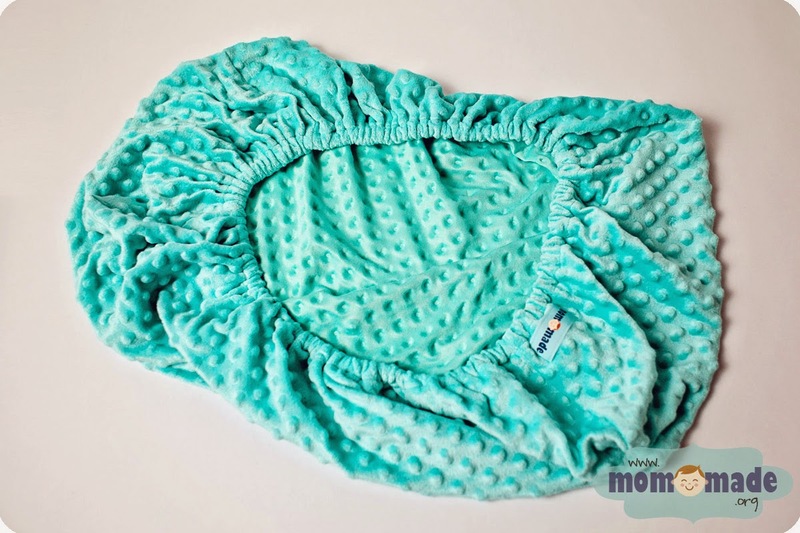 Changing Pad Covers are made of soft dotted minky fabric and fit around a standard changing pad with elastic. 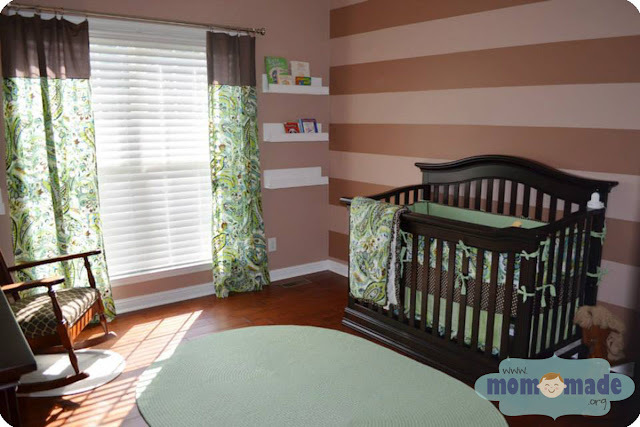 Crib Skirts (or dust ruffles) are simple three-sided flat skirts that work well in boy, girl, or neutral nurseries. You can choose one or two different fabrics for the front and sides. 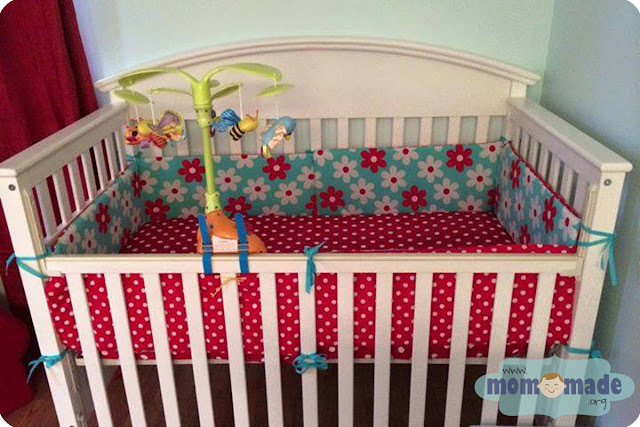 Bumper Pads include a set of six bumpers with ties that fit standard cribs. You can mix and match fabrics however you would like! 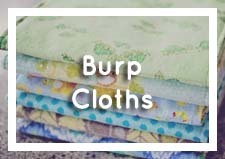 Please allow four to six weeks (plus shipping time) for custom nursery orders. 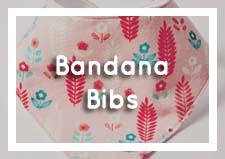 These take longer than standard orders, so it's best to let me know around the six month mark of your pregnancy to allow time for fabric selection, ordering, fabric prep, sewing, and shipping, not to mention a possible early arrival of your little one! "Thanks so much for the perfect room accessories:) the aqua matches perfectly! Can't wait for this furniture to be in and put it all together:) thanks again!!!!" "Just received my package in the mail!! 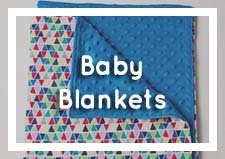 All my baby bedding couldn't be any cuter!! Thank you so much.. It was great working with you!!" "Thank you so much for everything!! I love it all!! Looks great!! I'll post pics once I get the room all put together." 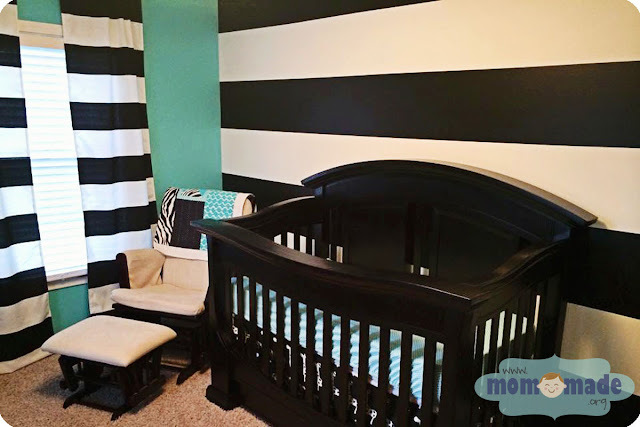 "Sarah you did an amazing job on my curtains and diaper bag! We absolutely love them!! I will share a picture when we get them hung up. Thank you again!"